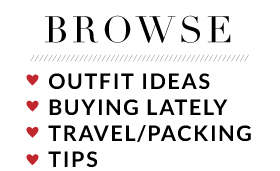 When it comes to fashion, I definitely don't believe there are rules. I have never abided by the "no white after Labor Day" rule, for example. I'm not sure how I would be able to survive without my white skinnies year round! It's like plain white tees - they go with ALLTHETHINGS! I think as long as you have fit and proportion right, you can basically wear what makes you happy regardless of what others may say or do! This top is too good. 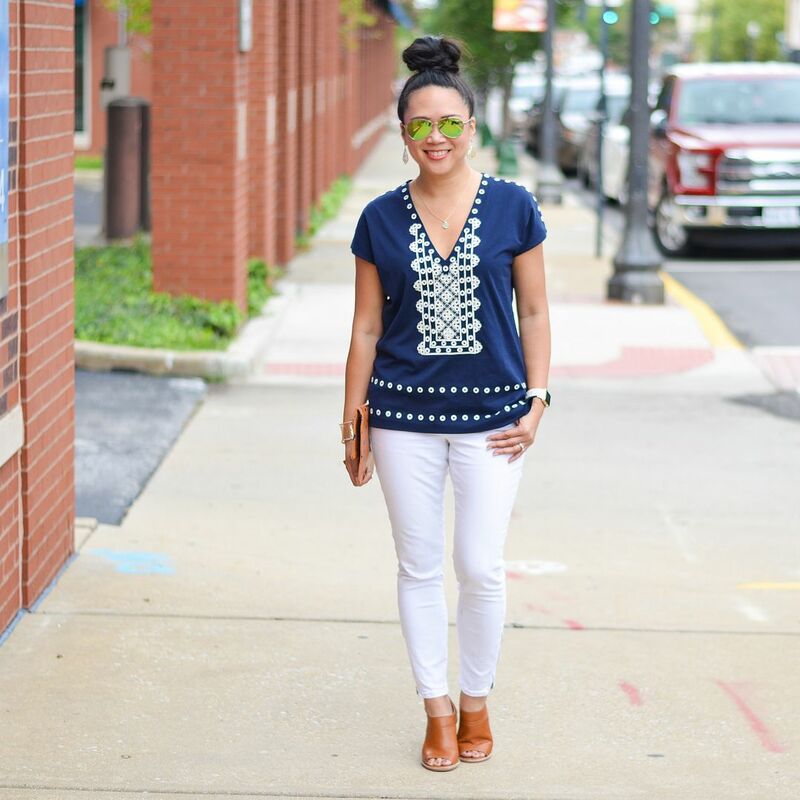 I've been heavily into navy and embroidered details this year, so this top was a no brainer of a purchase. Typically tops like these are stiff and not super moveable, but this feels just like a tee shirt. You can't beat that! The eyelet details are good on their own so I didn't feel like a long necklace was needed, but I did want just a little something at my neck. The Kiri necklace was the perfect sumpin-sumpin. Double Ring: Kendra Scott "Rachel"
Between me and you, I do not know how September is almost over! Only 9 days left, what the heck?! It's scary to think of how fast time flies. You kind of just have to close your eyes and hold on for the ride! My Pilates certification training officially starts next month and I'm getting more and more excited the closer it comes. Needless to say, it's been consuming my thoughts and energy these days, but in a good way. I wish all of you were local because I'm going to need clients on which to practice teach!! Eeeee! It's surreal to think about. Hope you have the happiest of hump days! This is such a cute look and I so love the Addie, happy I finally got it. I wish I was in the same town too would love to do pilates with you. You look so cute! The embroidery on that top is amazing. I really love tops like that with extra details and cuteness but all of the comfort. (And yet I hardly own any...why is that?) So excited for you to start your training! I love the small details in this outfit. I like the embroidery on the top and ankle zip on the jeans. 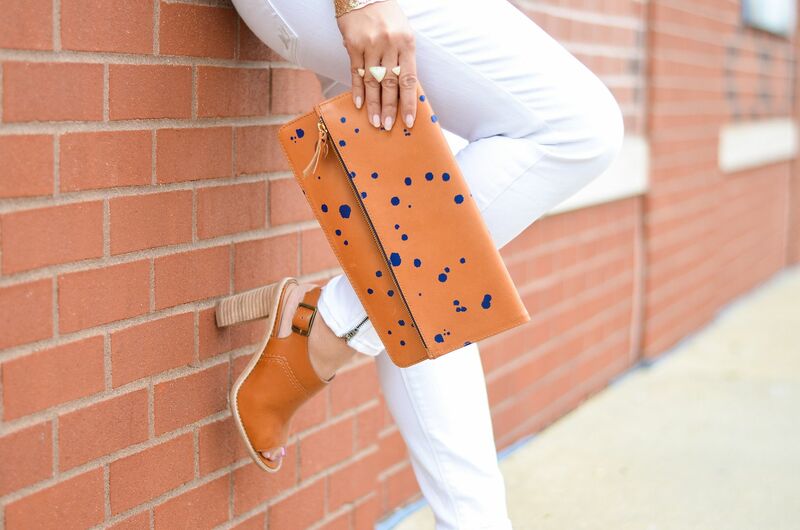 That clutch is perfect for this look! 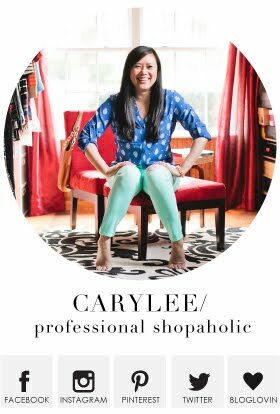 You look great, Carylee! 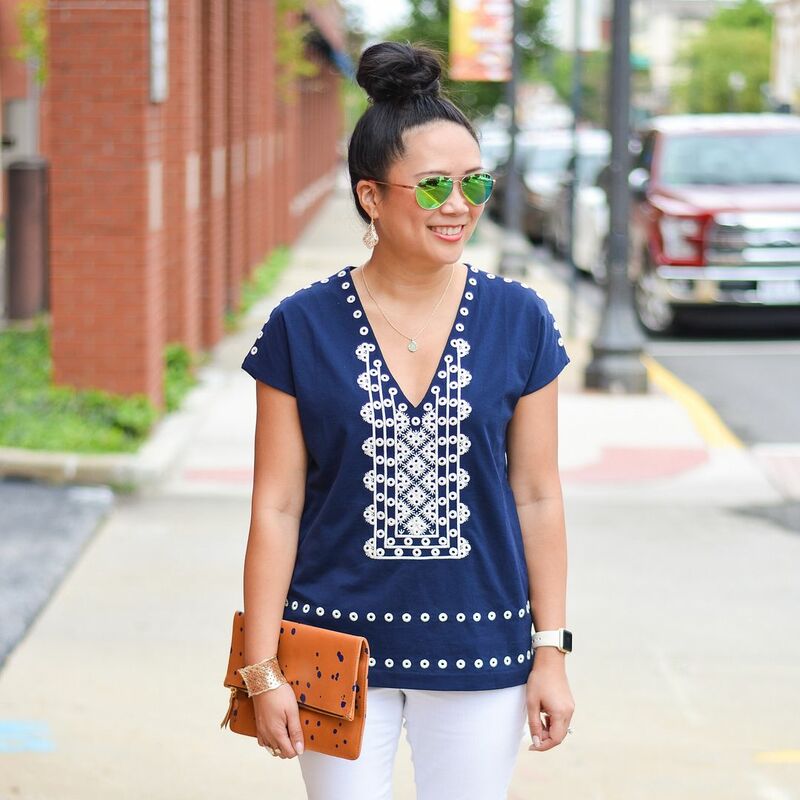 I love the perfect top knot!